First of all, open the app and log in to your account. 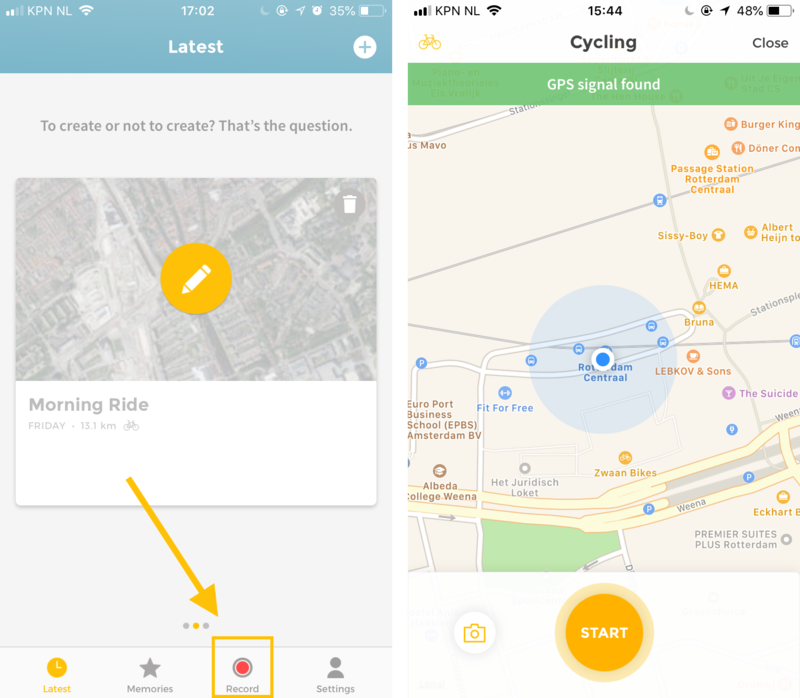 You can navigate through the app using the buttons in the bottom: Latest, Memories, Record and Settings. You can view your last 3 activities on the Latest screen. You can browse through these activities by swiping horizontally. 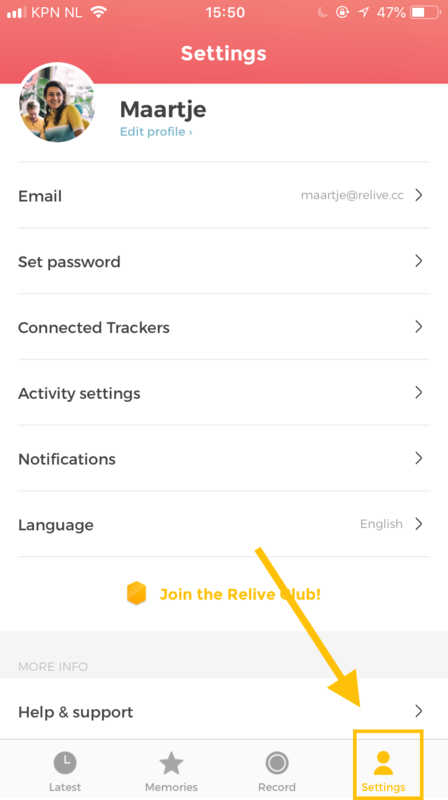 Please note: activities done after you created your Relive account will appear here. 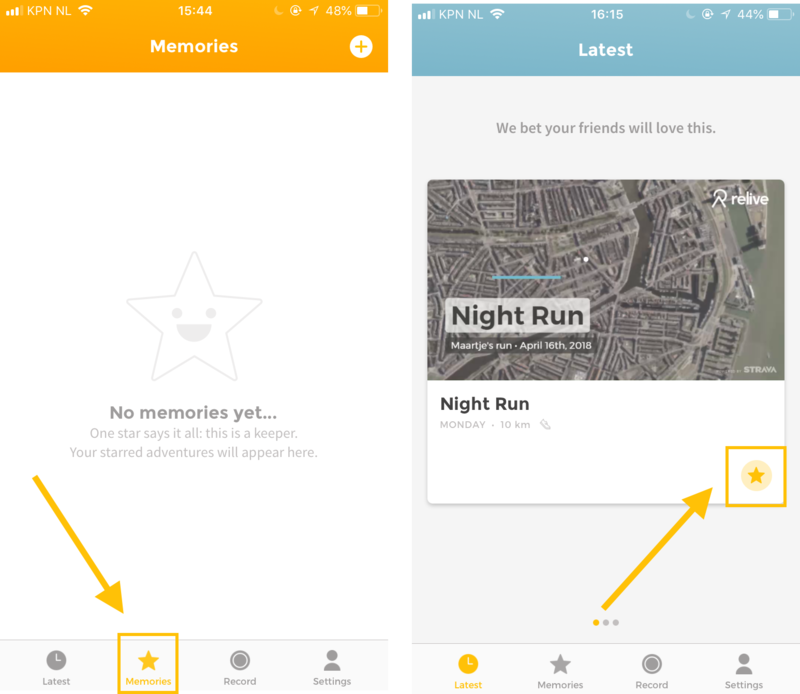 You can add an activity to your Memories by marking it with a star. 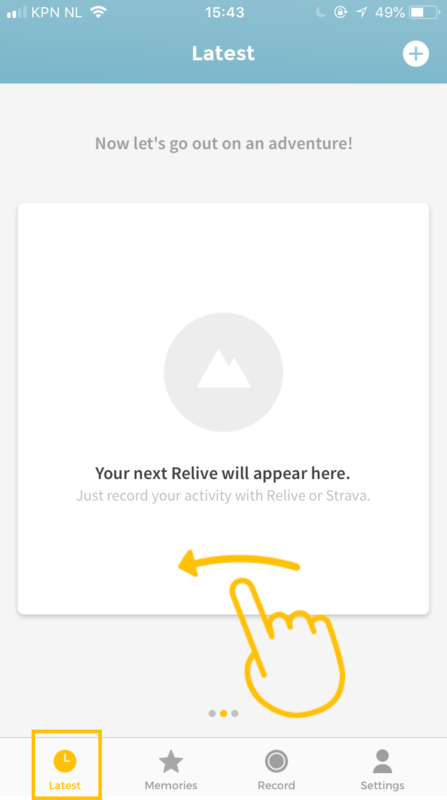 Use the Relive Record function to track your route. Now you're ready to Go out & track!